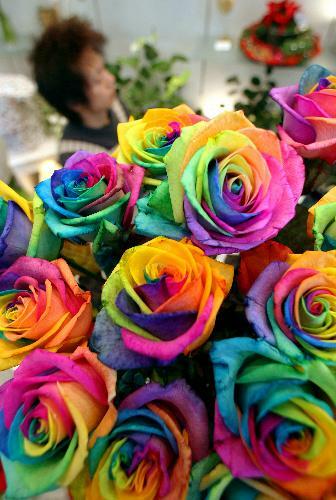 Rainbow roses aren't new, but according to the Asahi Shinbun, they're really starting to take off in Japan. A florist in Nagoya reports a sudden increase in orders this months—and, interestingly, most of the buyers are men in their 30s or 40s. 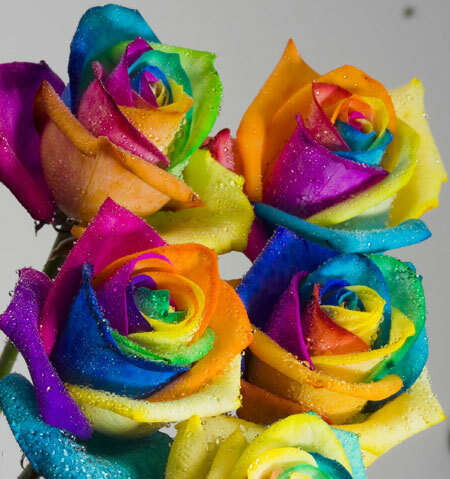 Rainbow roses are made by watering the flowers with a series of different colored natural dyes as they grow. When you can't decide what color roses to get, you can get every color in the rainbow in a single bouquet. Rainbow roses on sale at Megumi's Floral Shop, in downtown Nagoya City.